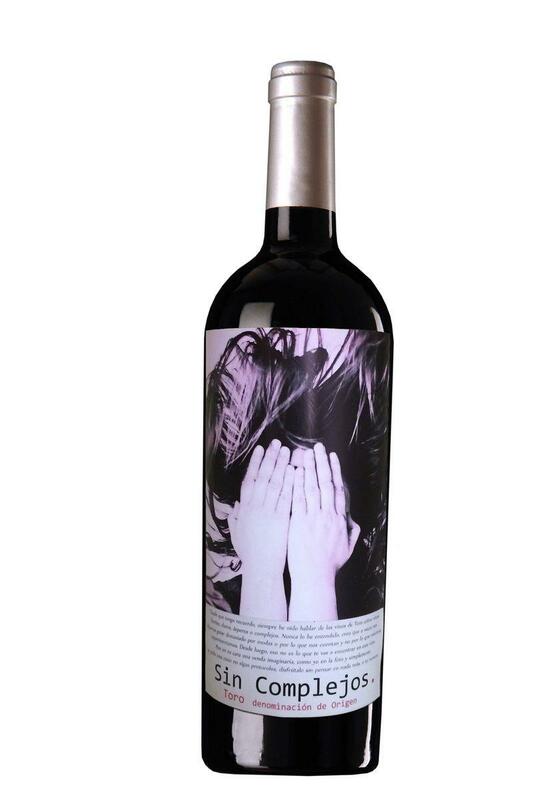 Imagine your eyes covered like those in the label and do just one thing- enjoy the wine without thinking about anything else, in your own way, Sin Complejos! This splendid wine shows great vivacity and verve. Very clean, deep and intense bright red cherry colour. Rich in aromatic notes with hints of ripe forest fruits and a light but very attractive spicy touch. Very well balanced with a good structure, tasty with nerve, with high quality tannins and good acidity, fresh and with a nice, generous ripe fruit character. Bodegas Gil Luna is a young and modern company but it has the experience of the Gil Luna family with a long tradition in the wine business. Founded as a family business, it has managed to position itself in the market thanks to the excellent quality of all its products and the utmost respect for the environment through ecological production .Their distinctive signs are fidelity to the tradition , the adaptation to the new needs of the market , quality and , above all , the unmistakable flavour . Toro Apellation of Origin is in a region with excellent conditions: A continental climate of extreme temperatures, sandy soil and centenarian vineyards, many of which are pre-phylloxeric, since this plague had little impact in Torobecause of its geo-climatic characteristics. “In "Sin Complejos" wine, I have tried to preserve the traditional power of the Toro D.O. combining it with an embracing softness. " Sin Complejos" is made from 40 to 60 year-old vineyards of Tinta de Toro, with very low production and grown in the tradition of the area not to interfere with natural processes and to continuewith the times which Nature marks”. In DO Toro, in Spain’s southwest, Tempranillo is called Tinta de Toro. In Ribera del Duero it can be referred to as Tinto Fino or Tinta del pais. In Do la Mancha it is often called Cencibel, or in Catalonia, Ull de Llebre. The most common name used for Spain’s indigenous and best known grape variety is of course Tempranillo, thought to be derived from temprano (early), due to its tendency to ripen earlier than other grape varieties.